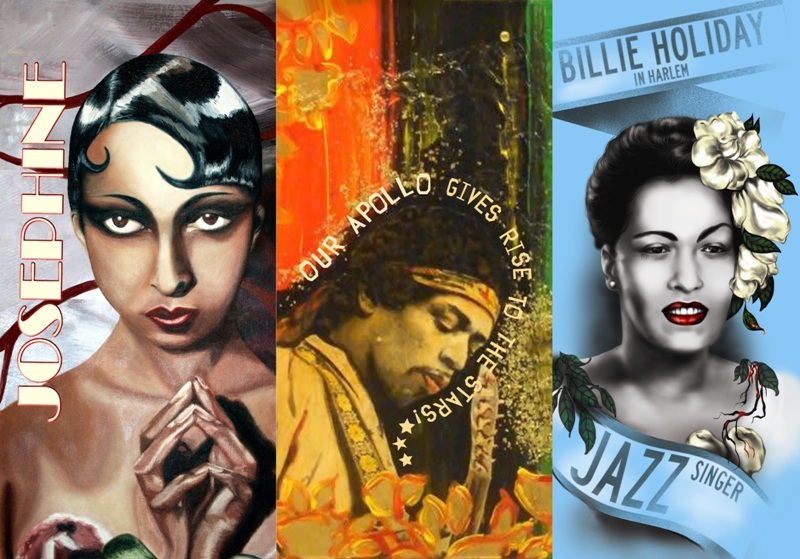 In conjunction with its celebration of Black Music Month, BID ON CULTURE unveiled the six winning banner designs in their third annual banner competition today. The double-sided banners are being displayed from Fifth Avenue to Morningside Avenue and from Broadway to 12th Avenue as well as 12th Avenue up to 138th Street. Six designs, the work of five New York visual artists, were selected from 41 submissions. The winning banner designs are the work of five professional New York visual artists who responded to a Request for Proposals (RFP) released in April. 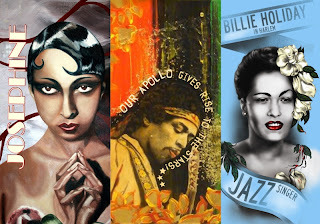 The RFP sought banner designs that celebrate Harlem's musical legacy as well as personalities and venues closely associated with Harlem's contribution to the history and development of music in America. Barbara Askins, President and CEO of 125th Street BID, said, "The designs, the colors, the creativity and concepts all began to define the culturally sensitive streetscape improvements that the BID is seeking to bring to Harlem's major commercial corridor. We are pleased to exhibit the work of great artists and, and we believe these banners will enhance the pedestrian experience of those who are walking across 125th Street over the coming year." The annual BID ON CULTURE competition is spearheaded by a partnership of The 125th Street Business Improvement District, the Harlem Arts Alliance and Harlem Community Development Corporation to showcase the cultural vitality of Harlem along 125th Street, its primary commercial thoroughfare. Its objective is to promote recognition and understanding of Harlem’s unique and authentic heritage, its role as a vibrant center of culture and to help promote the continued revitalization of 125th Street as the economic and artistic heart of Harlem.